Private rented accommodation is no longer a transitional stepping off point – it’s become an inescapable destination for many households in England. Is the sector working well enough? The demographic in the sector is changing; there are now nearly a million more households with dependent children living in the sector than in 2006-07. Our analysis suggests that the private rental sector is far from being the well-functioning sector consumers should expect. We undertook a comprehensive look at the experience of consumers in this sector taking into consideration their entire journey, from searching for and securing, to living in and subsequently moving out of, private rented accommodation in England. • Tenants have difficulties accessing necessary information and advice at the different stages of the process. Similarly landlords face a complex regulatory landscape and can struggle to understand their obligations. • Many landlords and tenants have experienced problems with the service and advice that letting agents provide. • Many tenants are experiencing poor standards in their accommodation with damp or mould being the most common issue. • Despite the prevalence of those problems, few tenants choose to complain. One of the reasons being that the current system of redress is confusing and complex. • Many tenants are worried about having to leave their property before they want to. This is particularly a concern for those with children. We also found that this lack of security is also a barrier for tenants enforcing their rights. • Many tenants are facing difficulties in getting their security deposit back in full and many have to pay a new security deposit before they have received their previous one back. With the private rental sector set to continue its growth and play an ever greater role in providing people across society with a home, our report is calling for a comprehensive programme of reform to bring the rental sector up to the standards required in the 21st century. Among our proposals, we are calling for all landlords to be registered with the relevant Local Authority, with the details available to the public online. This will hold less responsible landlords more accountable to tenants and provide a means for local authorities and government to keep landlords informed about their responsibilities. 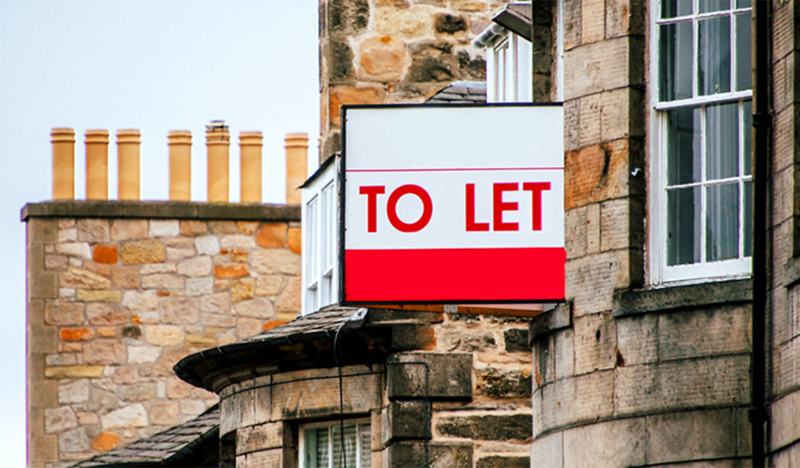 We also believe the government must prioritise strengthening regulation of the letting agent sector, provide a simpler single-access dispute resolution scheme and introduce reforms to increase tenure security. Do you support our proposals? What do you think should be done to improve the situation in the sector? I was under the strong impression legislation was already being considered and I am somewhat struck that only now is Which? looking at a problem that has been around for well over two decades. Still it is a start. Can Which? also adress the leaseholds problems that are still outstanding created by unethical builders and conveyancers? Incidentally the research questions would be of interest as shades of meaning and time span are quite significant in generating percentages. I am sure many homeowners have had plumbing problems in the last 5 years etc. *”Populus, on behalf of Which?, surveyed 2,000 UK adults who live in a privately rented property online between 21-26 March 2018.” seems an incredibly ugly construction. Surely “online” relates to the survey method not the privately rented property. Read more: which.co.uk/news/2018/07/how-renters-get-a-raw-deal/ – Which? Ashford Council in Kent, which has introduced a policy requiring landlords to fix boilers within four days if the tenant is a single mother with a new baby. They form part of a vulnerable group and as such have greater protection but it does mean that landlords my find them unattractive tenants. This illustrates a rather haphazard way that Councils are being left by the Government to manage as best they can. Whilst bemoaning the situation the fact remains that in many countries renting is, and has been, the norm for many many decades. And they have laws recognising the needs of both parties. It would be worthwhile evaluating their exisitng systems to see what is worth cherry-picking. Has your landlord held you to ransom with your holding deposit?